Over the last few weeks, months and years I’ve heard this question over and over, asked by a variety of people with different degrees of horror or confusion. Why do you want to do it? Isn’t it dangerous? Isn’t it freezing? Don’t people die up there? The simple fact is that it has been my constant dream since the age of about 10, which is when I first announced to my parents that I wanted to climb it. 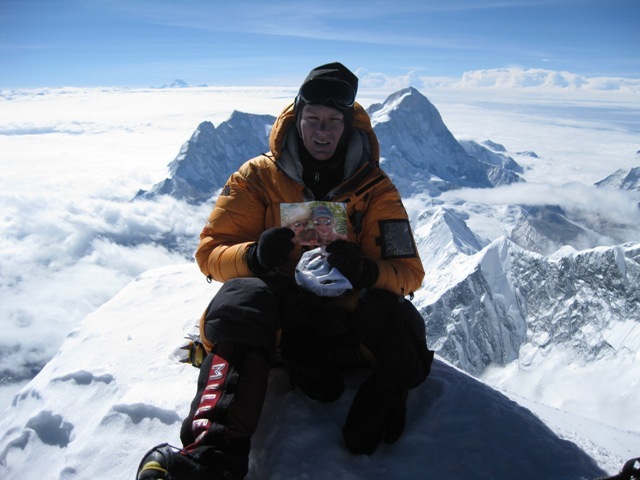 Over the years and while climbing in the Alps during my teens, I would eventually read every book, every account, and learn everything I could about Everest. I began to know the routes (both North and South) so well that I could literally climb them in my head. However, while I was young actually trying it was an impossibility, even looking out into the future. 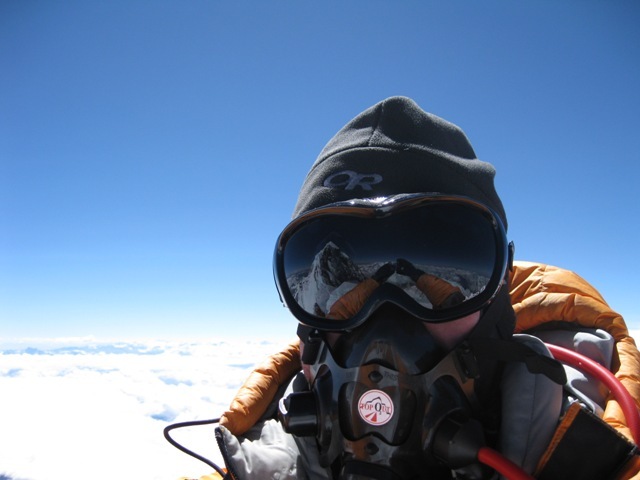 Only professional climbers were invited on Everest expeditions, typically large, national, sponsored expeditions, and I wasn’t going to be a professional climber. 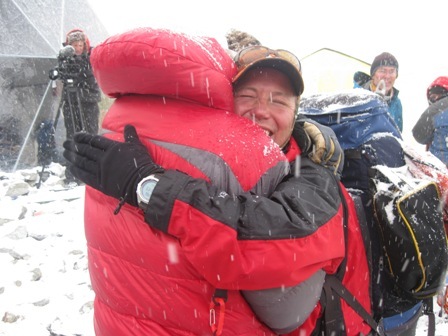 It was only in the mid 1990s that so-called commercial expeditions – where an experienced amateur such as myself could pay to join an expedition – started being organised, and the idea became a distant prospect for the first time. 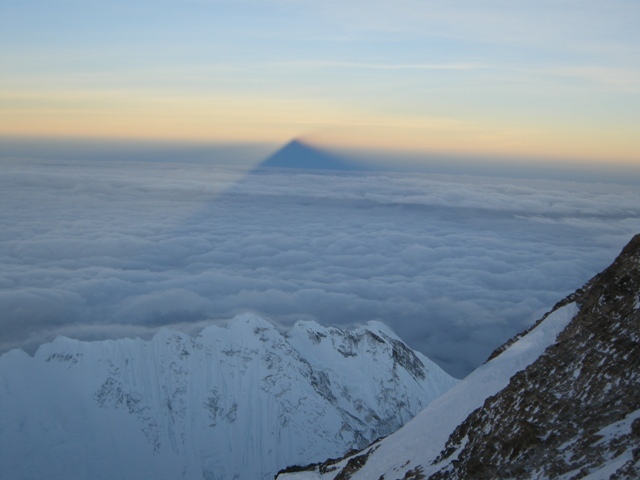 In the autumn of 1997 I trekked to Base Camp to look up at the mountain from below – it seemed huge, fierce – indeed it remained unclimbed by anyone that season. 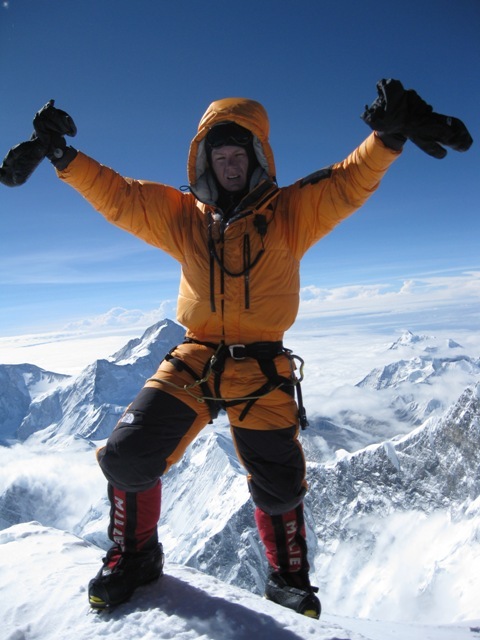 In 2004 I climbed Cho Oyu, which at 8,201m is the world’s sixth highest mountain and was subsequently invited by Russell Brice to Everest. 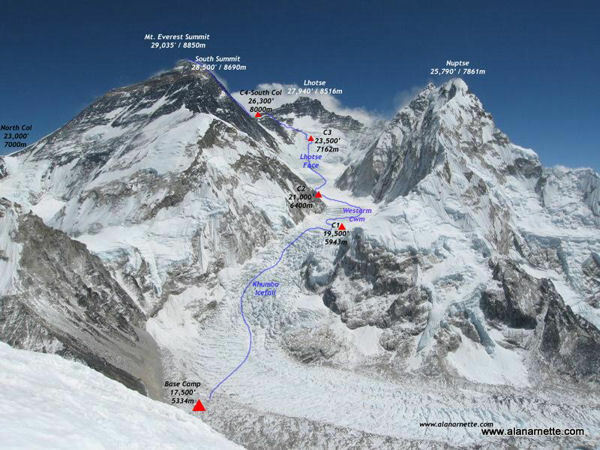 Mount Everest represents one of the ultimate tests of physical and mental endurance. Although there are some mountains which are considered to be more technically demanding than Everest, only Everest is the roof of the world. Climbing Mount Everest represents doubts and fears overcome, the accumulation of an enormous amount of hard work, and a larger than life indication that literally anything is possible. 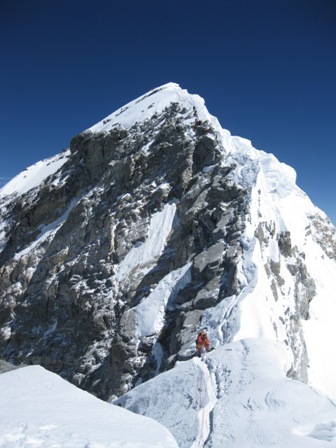 Attempting Everest is a challenge, of course, but for me it is more romantic than that. It is a childhood dream, and the route I am taking is somewhat ‘hallowed ground’ in my head – from the countless books I’ve read, films I’ve watched and photos I’ve pored over, I feel like I know every feature, every angle, every view. Actually being there – not just being able to say that ‘I’ve done it’ – is incredibly important to me. On Everest nothing is guaranteed. Few of those who attempt Everest actually reach the summit, and even fewer on their first attempt, so I would be one of a very fortunate minority if I were able to do so. I hope I make it, but I also hope to have the good sense to turn back if things don’t feel right. Childhood dream or not, there’s always another year!